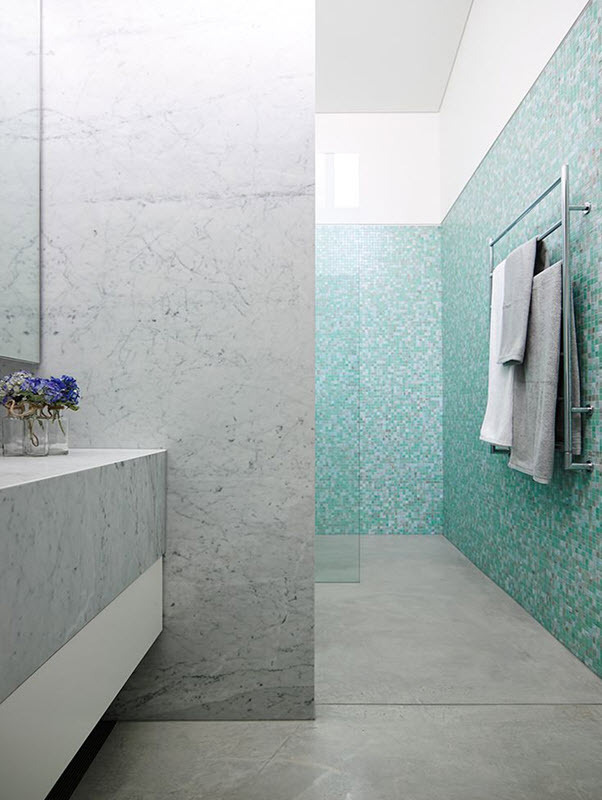 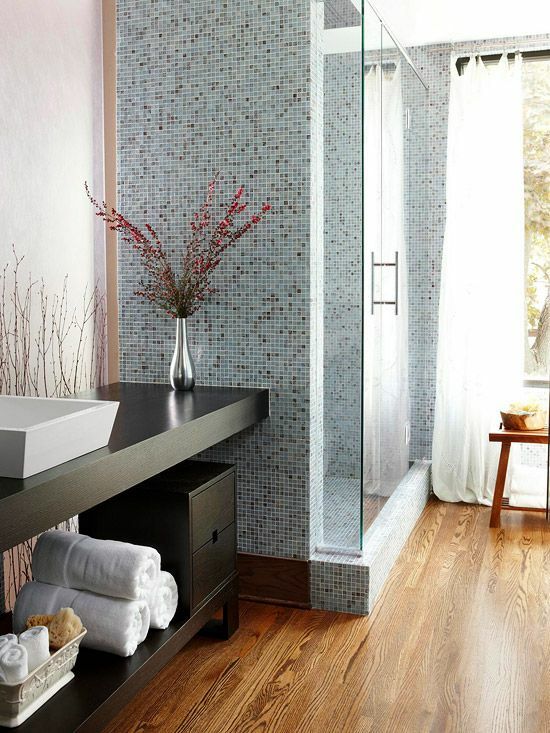 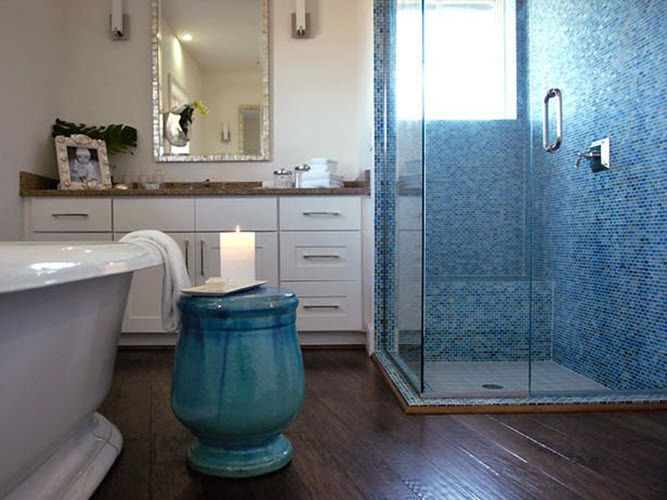 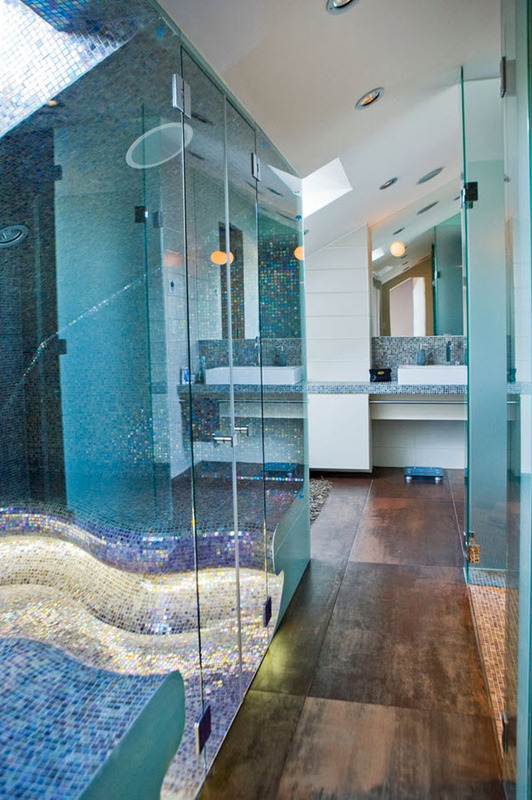 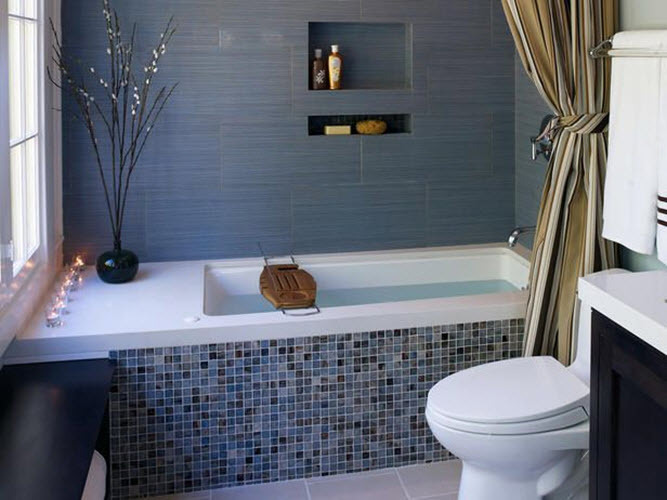 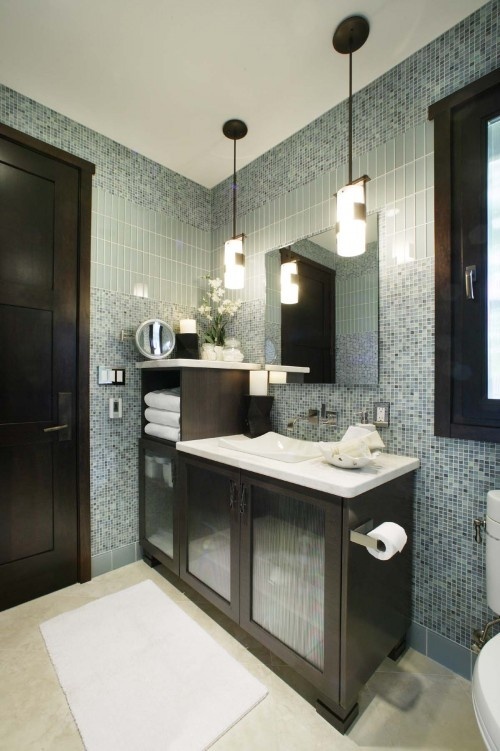 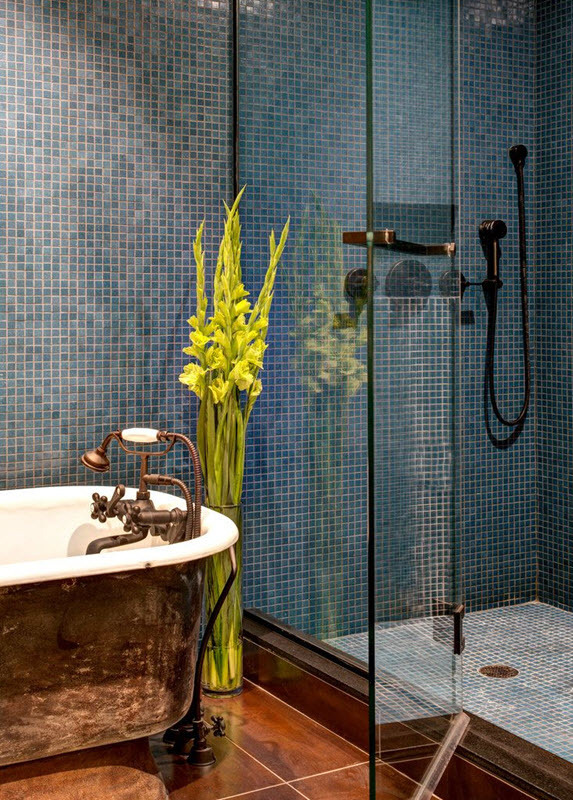 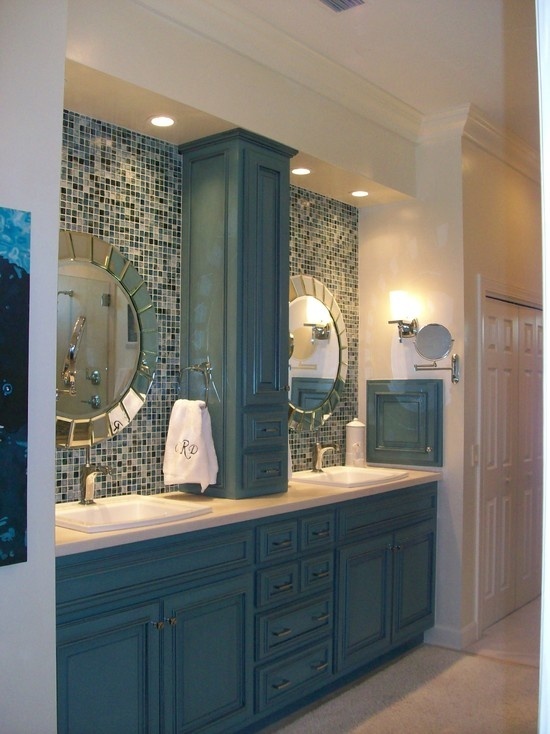 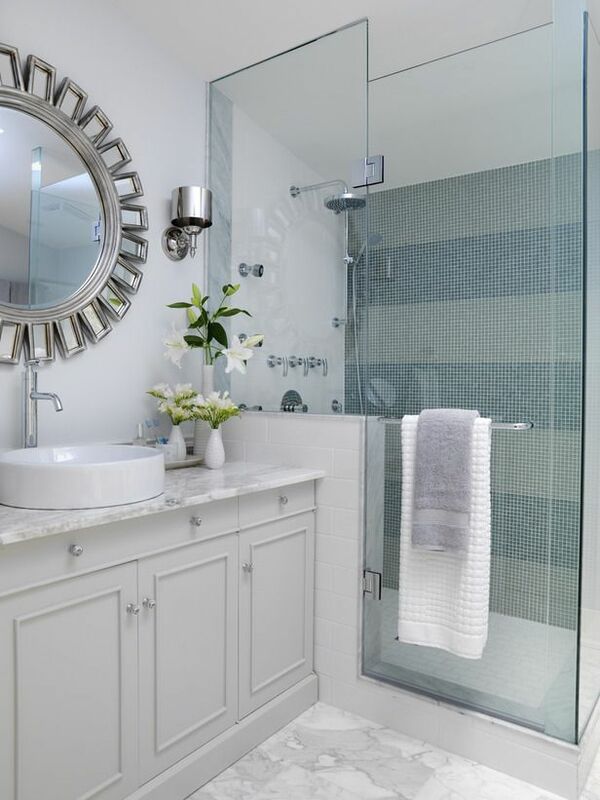 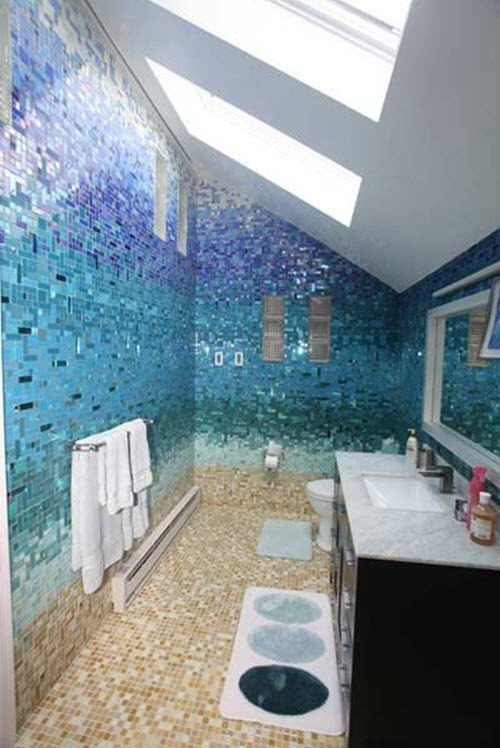 Mosaics are one of the most popular decor elements for bathroom remodeling. 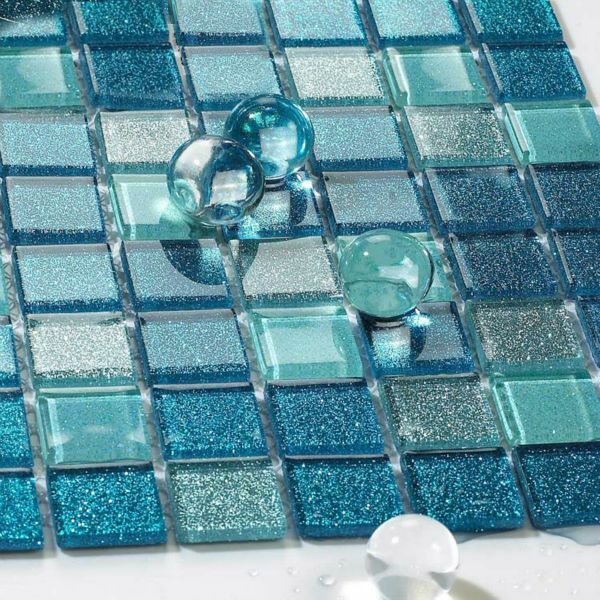 It is widely used on the walls, on the floor in the shower area and as a decoration around bathtub. 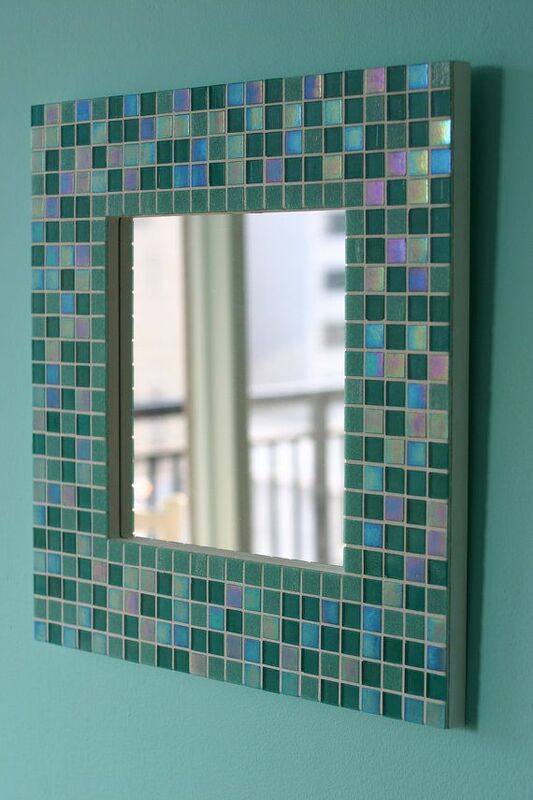 Some people even use it to decorate certain bathroom elements, like sink or mirror. 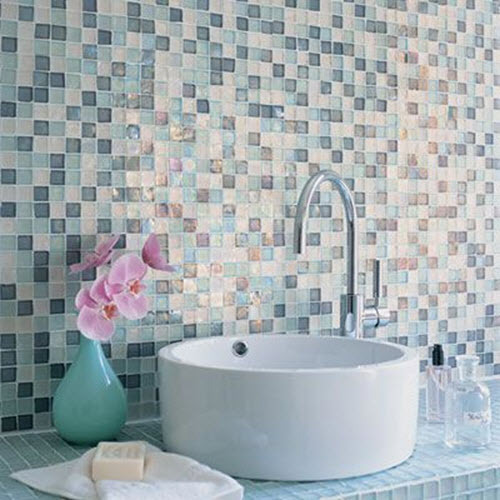 Mosaic tile comes in a variety of designs but there are two main kinds of mosaics: ceramic and glass one. 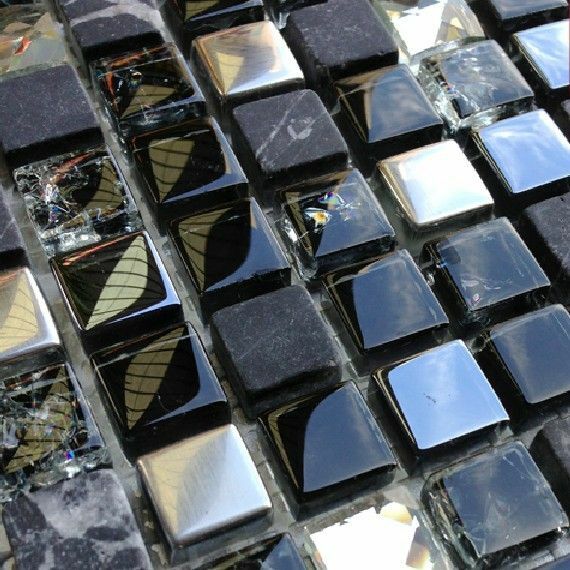 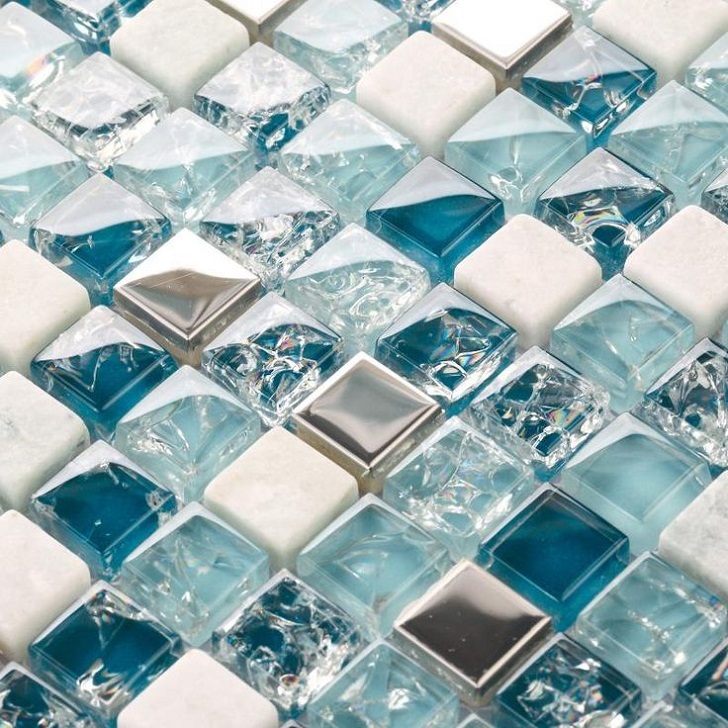 While ceramic mosaic tiles have their own charm we’d like you to pay more attention to glass ones. 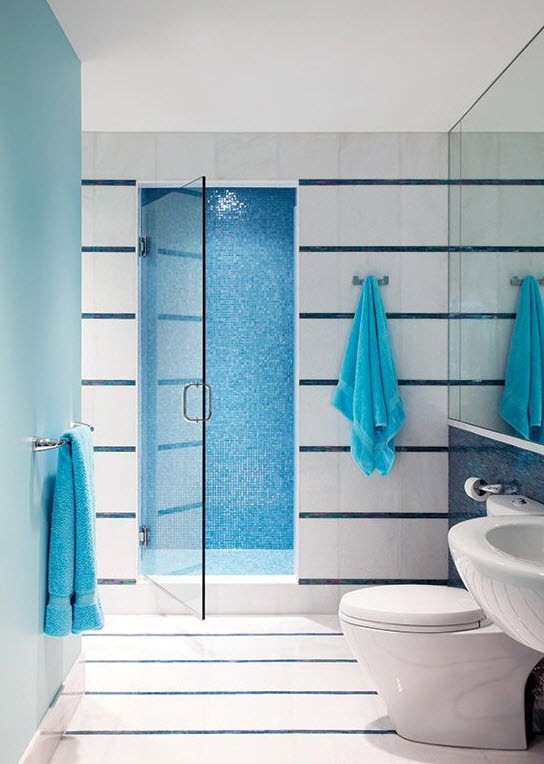 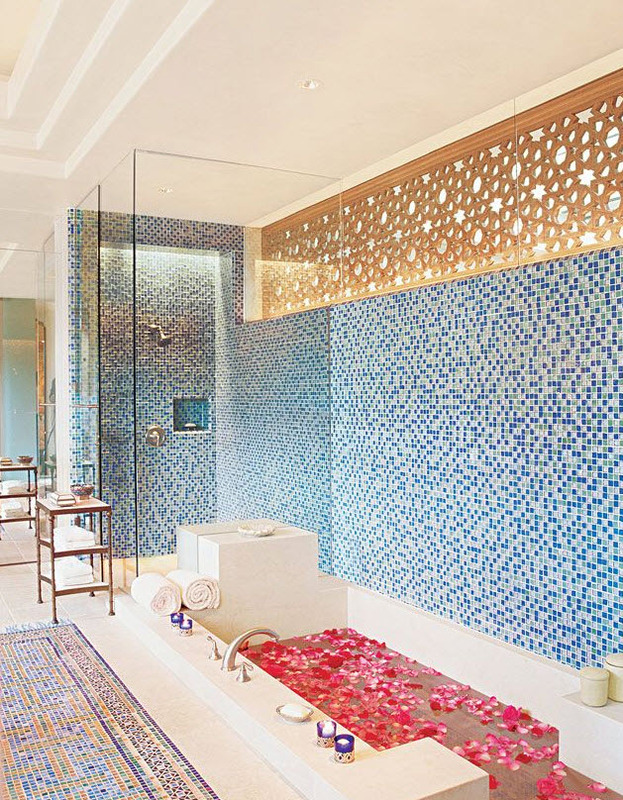 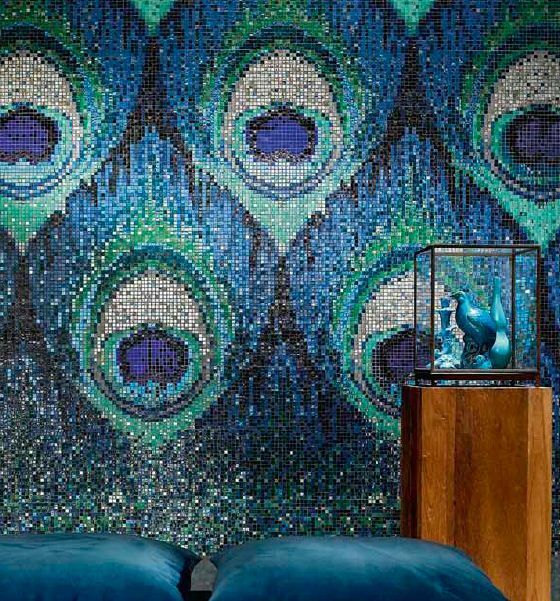 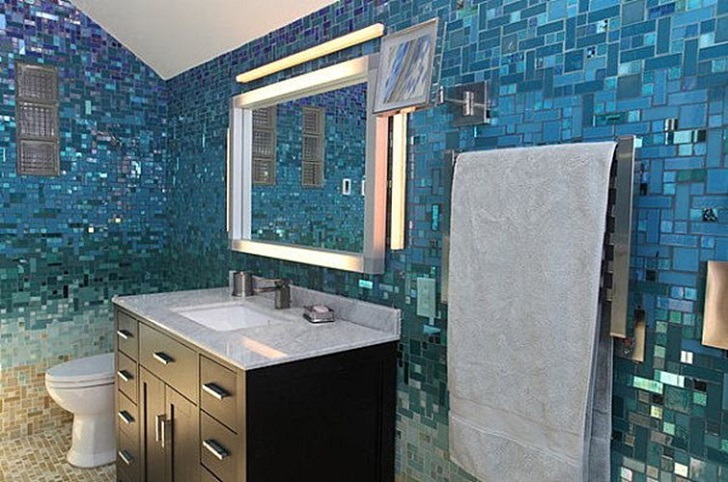 And before we leap to the photo ideas below we want you to consider one of the most popular color of glass mosaic tiles – blue, the color of water, sea and waves. 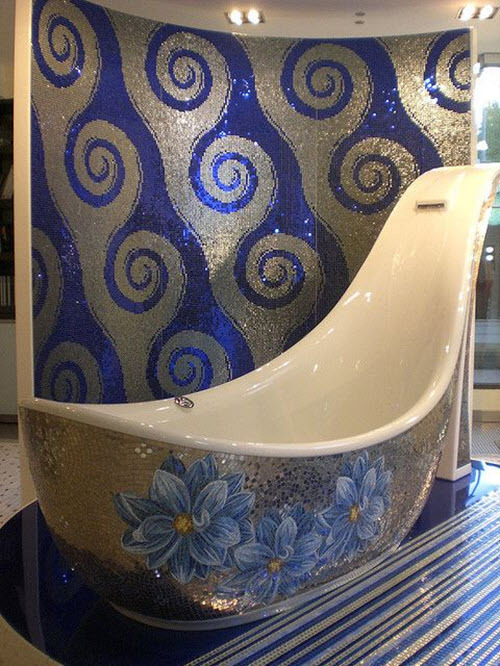 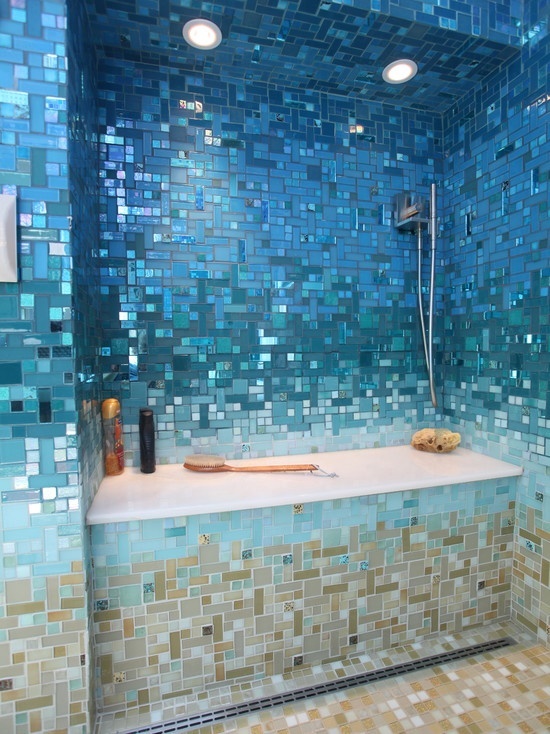 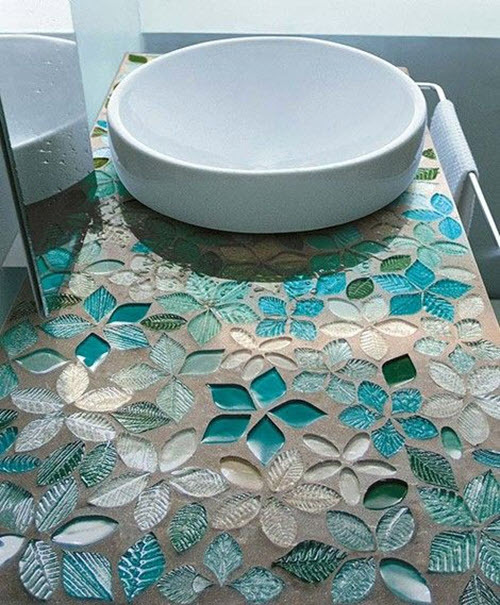 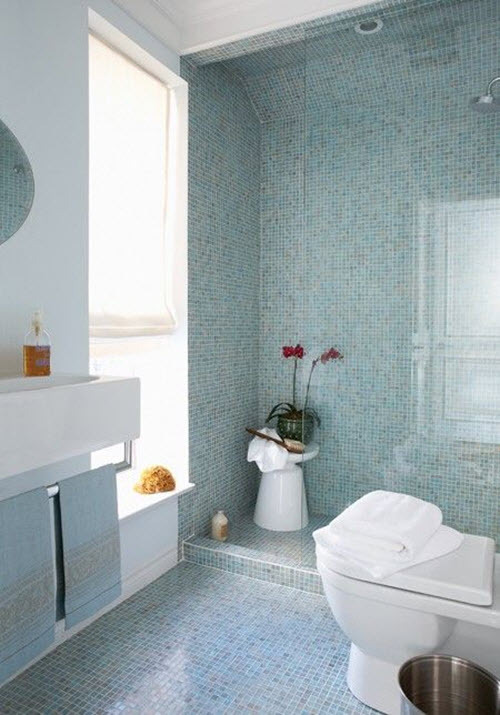 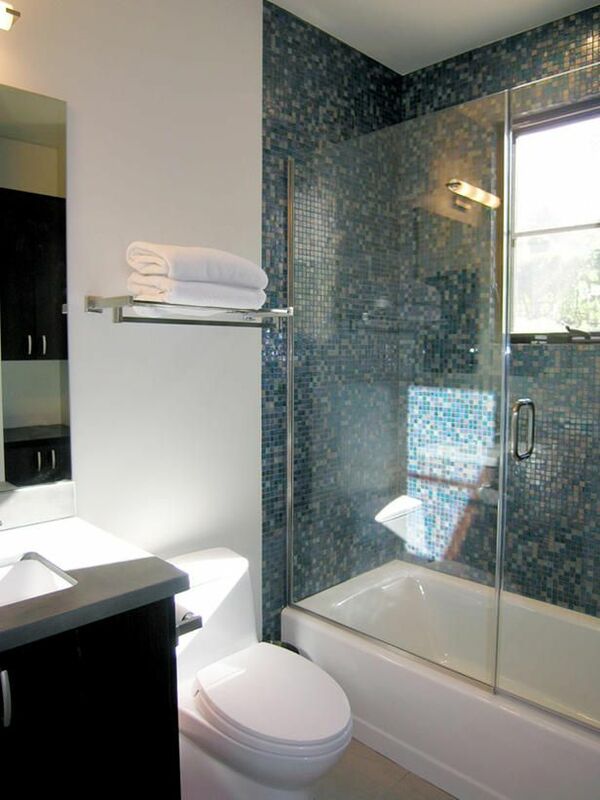 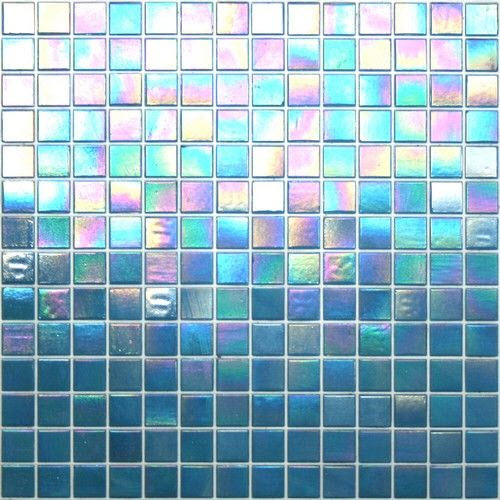 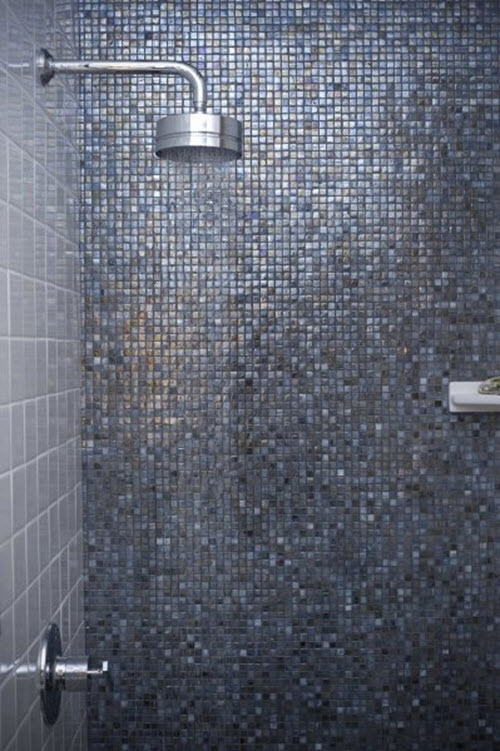 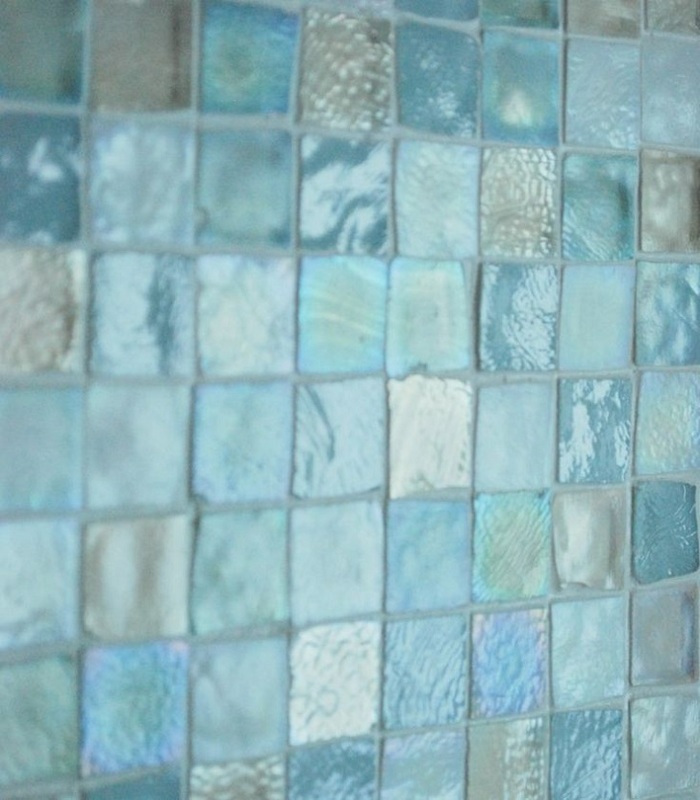 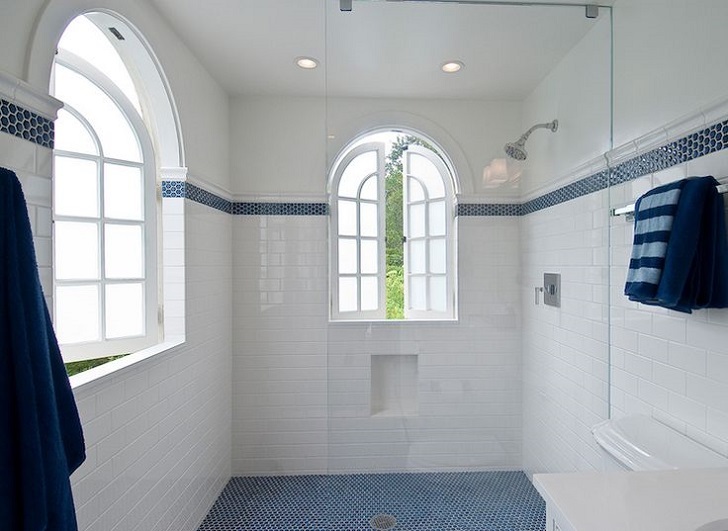 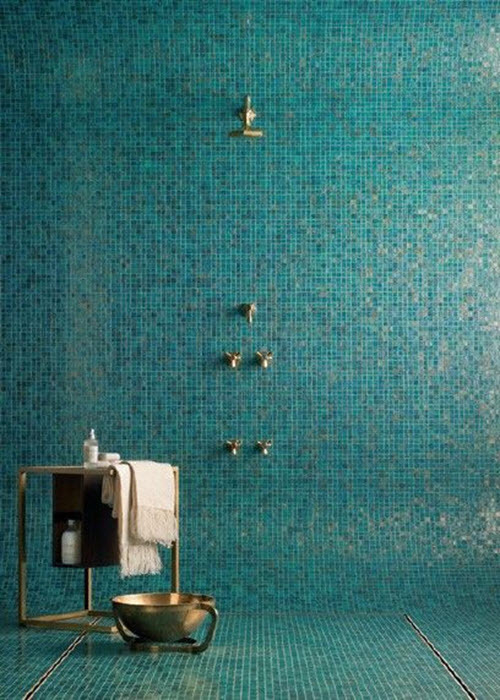 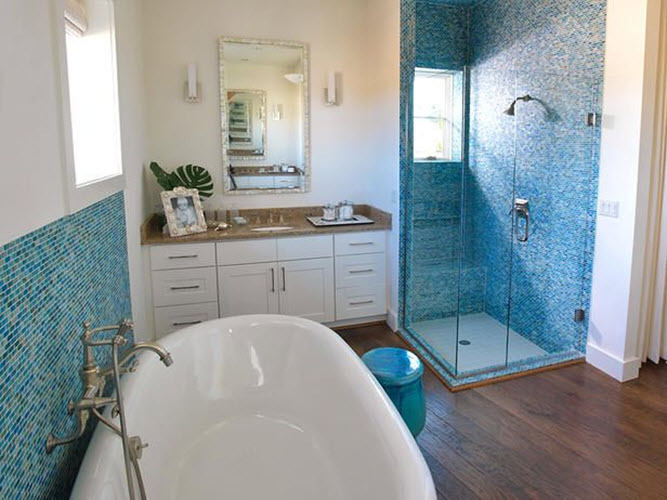 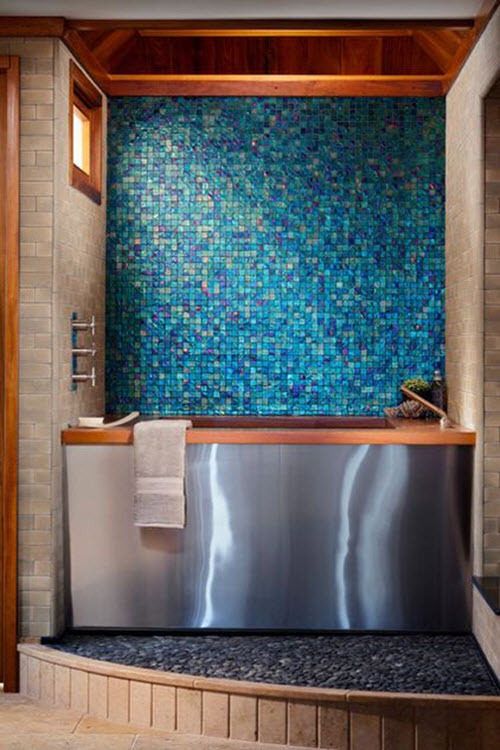 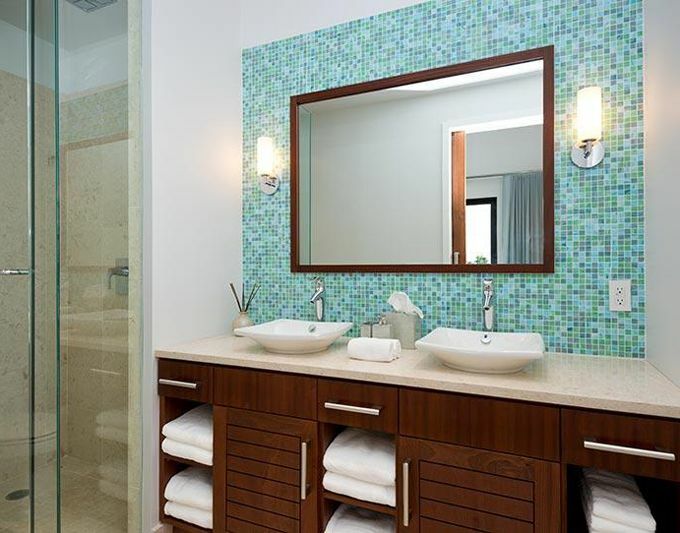 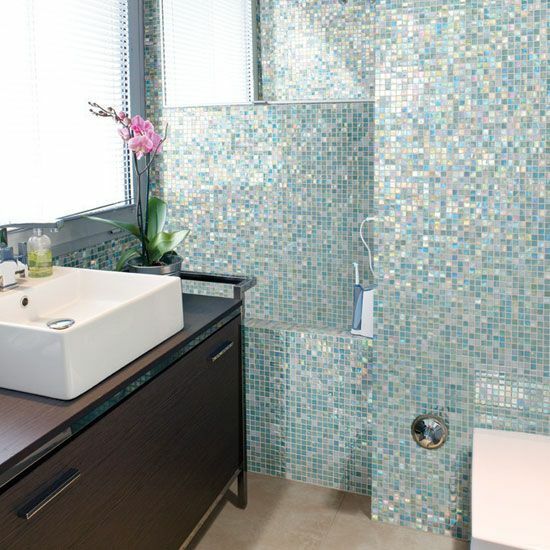 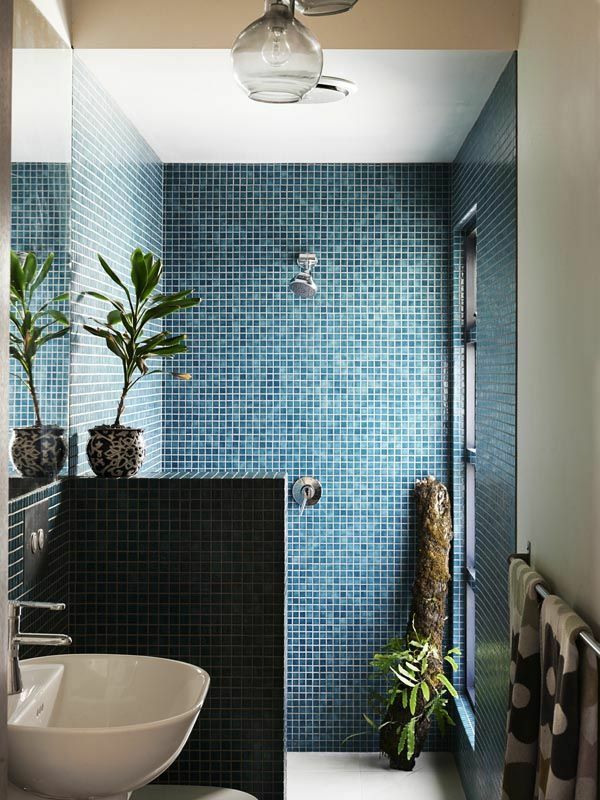 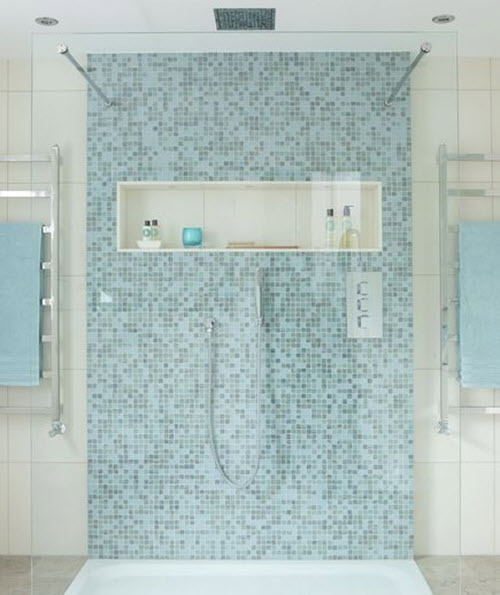 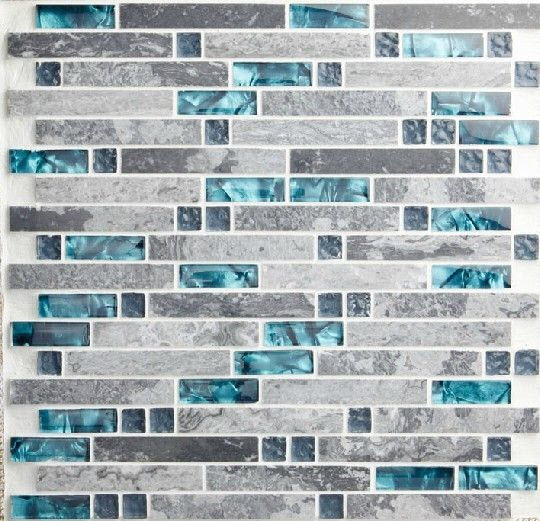 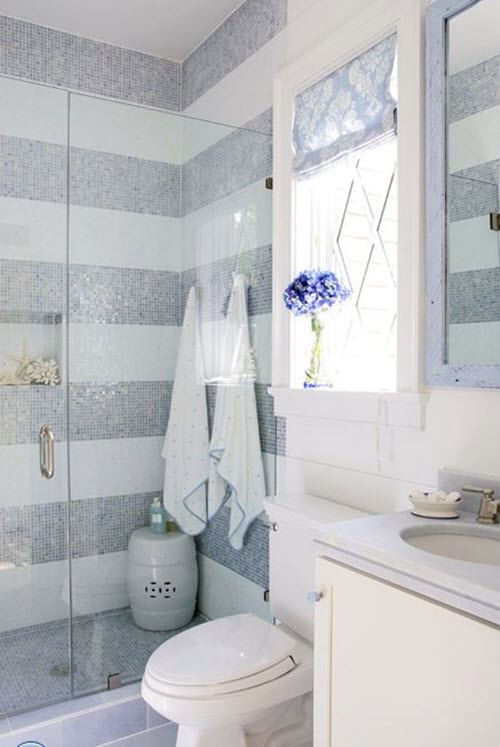 Blue glass mosaic bathroom tiles will add special glittering to the surfaces, your walls and floor will shine like blue stars in the sky reminding you of the warm summer days and nights at the beach. 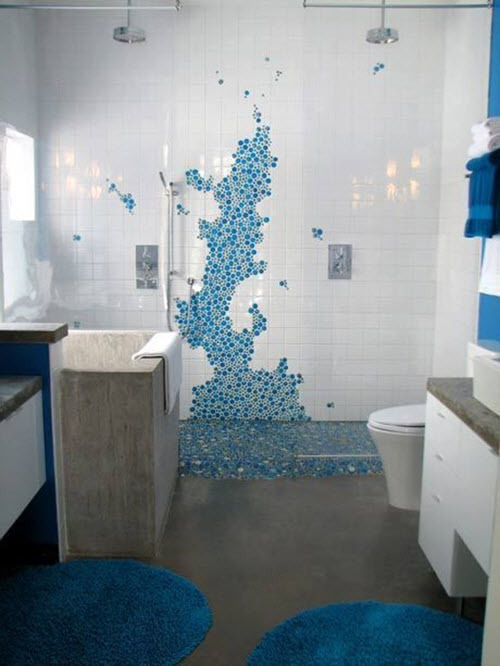 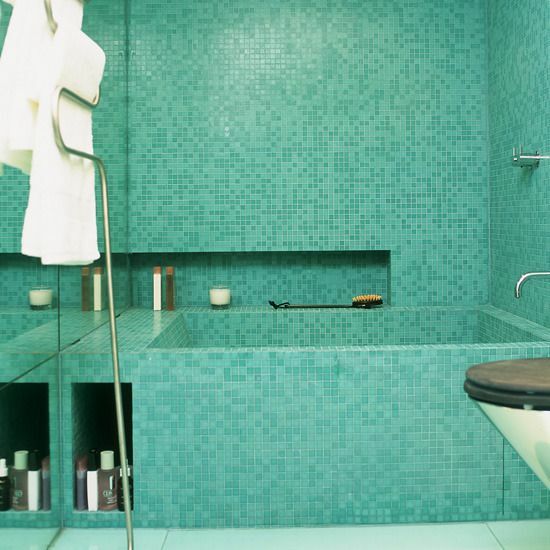 Perfect match for a dream bathroom, don’t you think?